Not quite yet. I'm off to Burning Man to drink a bunch of the booze that I've gotten in the mail lately. I hope to return with some reviews, pictures, and newfound excitement about the freaki' coolest blog on the Internet. Just ask my mom. Or your mom. She's nice. Just a note from my birthday/vacation to let you know that the 16th is National Rum Day! Since I'm in San Diego I'll be celebrating with margaritas!! Yipee kay yay! Take a bit of Maxim, add some A.D.D., throw in some comic book stylings, then get drunk. Now you know how they came up with Mutineer Magazine. I was actually told this one about a week ago and I didn't get a chance to review it until now. This magazine is not for the Master Mixologist trying to create a drink by learning the techniques of Molecular Gastronomy. This one's for today's cocktail crowd that wants to learn a bit more, branch out a bit, and have a bit more fun. 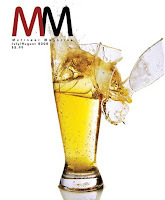 With articles about "How to Order Drinks in a Restaurant" (and covering beer, wine, AND spirits), Oregon wineries, and drinking towns around the world, the articles stay interesting and diverse enough to keep the magazine around even after you've been through it once. Want to check out the first issue? Here's a super-secret link. Hey, someone has to be at the bottom of the list of wine bars out there. Wine Steward rockets to the bottom with poor service, over-priced wine, and a wine bar that's gorgeous to look at it, but downright miserable to be in. I don't use this space much to complain about something, but I'm in awe at how a place can be this bad and still be in business. I don't even want to link to them. Google them if you're interested. Dr. Dre is jumping on the bandwagon and launching his own line of spirits. The first to launch will be his Aftermath Cognac which is being made by Abecassis Cognac, a large producer in the region. Next up will be a flavored and unflavored sparkling vodka. Both should launch in the next 60 days. Look here for pics and notes. 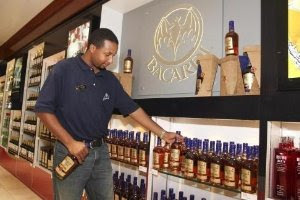 Rather than leave the factory store concept to factory malls flocked over by grandmothers looking for that special Guess jacket for their 12 year old grandson, Bacardi is opening their own store in Nassau, Bahamas. The store will have some of what you expect, like their line of stuff that you can get at every other store, but they'll also have all of your favorite Bacardi logo gear such as Bacardi jackets, umbrellas, towels, and gym bags. 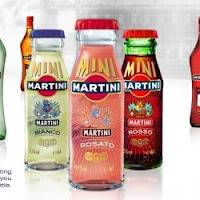 On top of all that, they'll going to have some of their super-premium line of products that you can usually only get if you know someone at Bacardi and have very good kneepads. They'll also be selling some of their not-so-rum stuff like Dewars, Grey Goose, and Bombay.